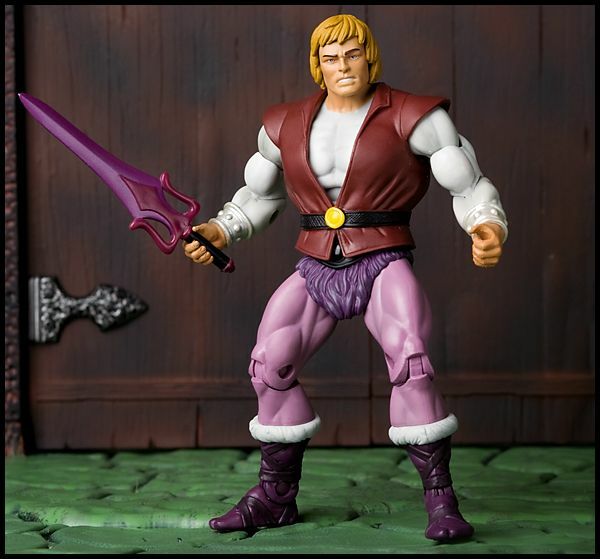 Masters Of The Universe Classics: Prince Adam Heroic Secret Identity Of He-Man! Heroic Secret Identity Of He-Man! 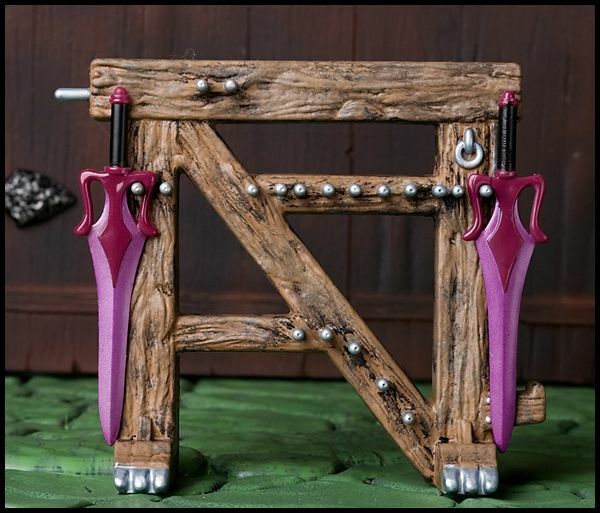 Adam lived the relatively care free life of a prince, until the day he first held aloft his magic sword and said "By the power of Grayskull... I have the power!". The energy channeled through the sword transformed his "fearless" feline friend Cringer into Battle Cat, and turned Adam into He-Man, the most powerful man in the universe! In order to protect his family from harm, only three others share the knowledge of Adam's secret identity: The Sorceress, Man-At-Arms, and Orko. Together with the rest of the heroic Masters of the Universe, He-Man defends Castle Grayskull and all of Eternia from the evil forces of Skeletor! 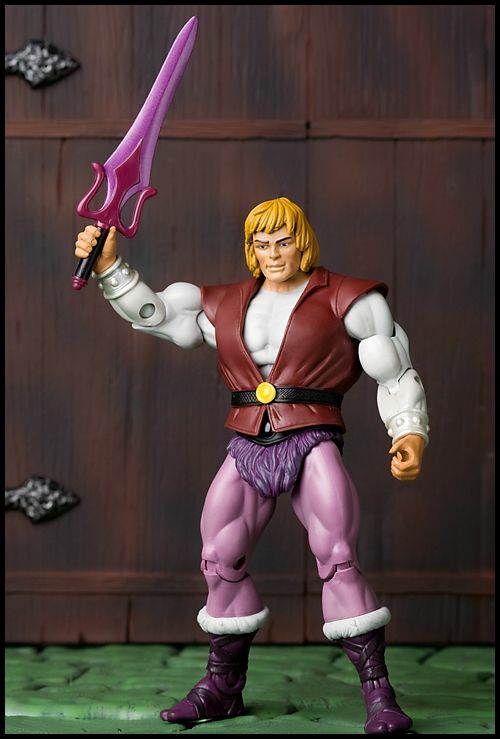 Additional Parts: Prince Adam also includes a "standard" He-Man head to recreate the look of the original vintage figure. 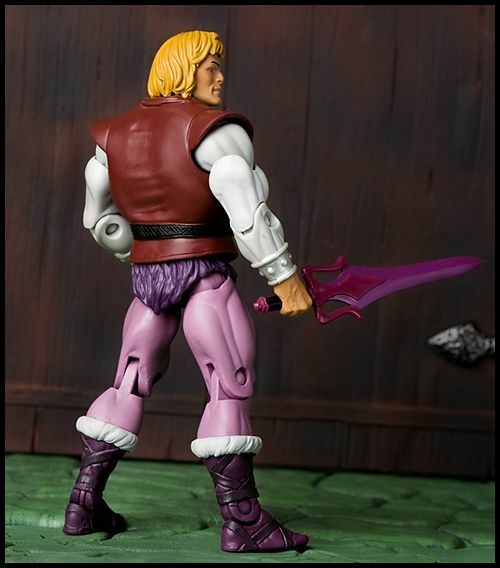 Notes: This figure was included as an "accessory" to the MOTU Classics Orko figure. 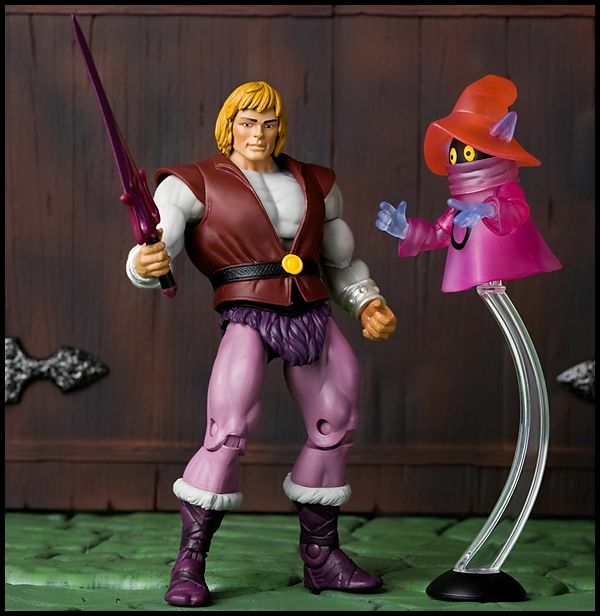 The Orko figure was available in either standard colors or with a color-change gimmick. There were no difference in the Adam figures.